One of my favorite things about summer is that there is so much opportunity to discover new parts of the city. During the winter, I feel like I’m usually just running between the places I have to be, spending as little time outside as possible. However, come summer, it’s the total opposite and I try to walk outside as much as I can, while finding cool, new spots to hangout at and photograph. The other day, as I was walking past David Pecaut Square in Toronto, I realized that there is an awesome sculpture and water feature right in the middle of the space. I knew the sculpture was there, but I actually didn’t know there was a water component, as it’s empty during the winter months so it doesn’t freeze over. The sculpture was created by Canadian sculptor Bernie Miller and unveiled in 1992. If you’re interested, you can read more about it here. Anyway, I thought this would be the perfect spot to showcase this look, featuring my new Lacoste sneakers from Town Shoes. 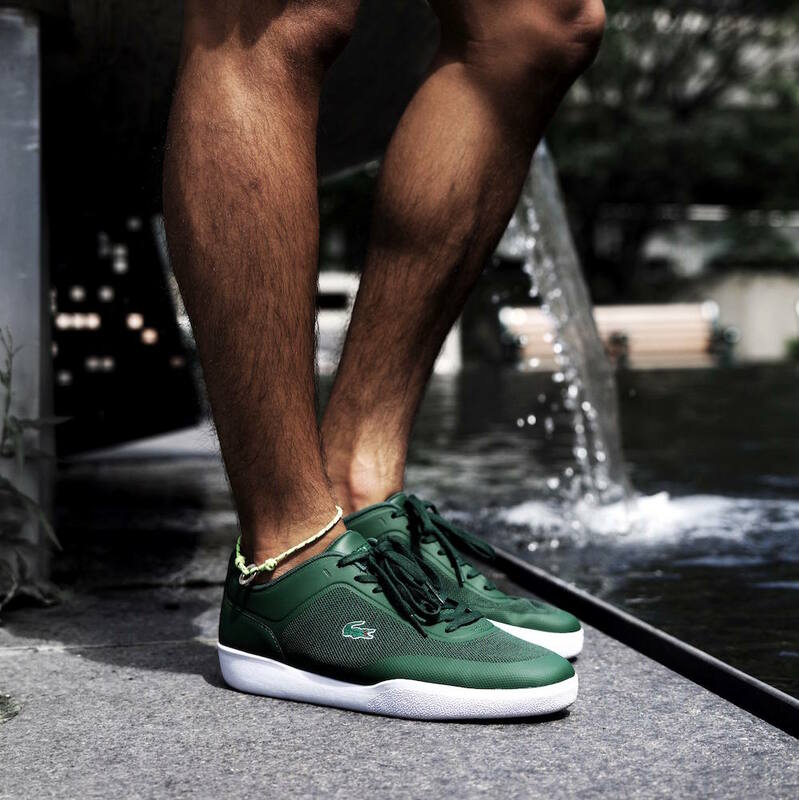 These kicks come in quintessential Lacoste colors: green and white. I paired them with navy shorts and a Lacoste Made in France polo, alongside a color-coordinated, green Lacoste watch. Sometimes, I really love creating an outfit centered around a single brand, like this one. What about you? Do you ever dress with one brand/theme in mind? Really nice read and great shots once again! Nice look men ! I like the sneaker !